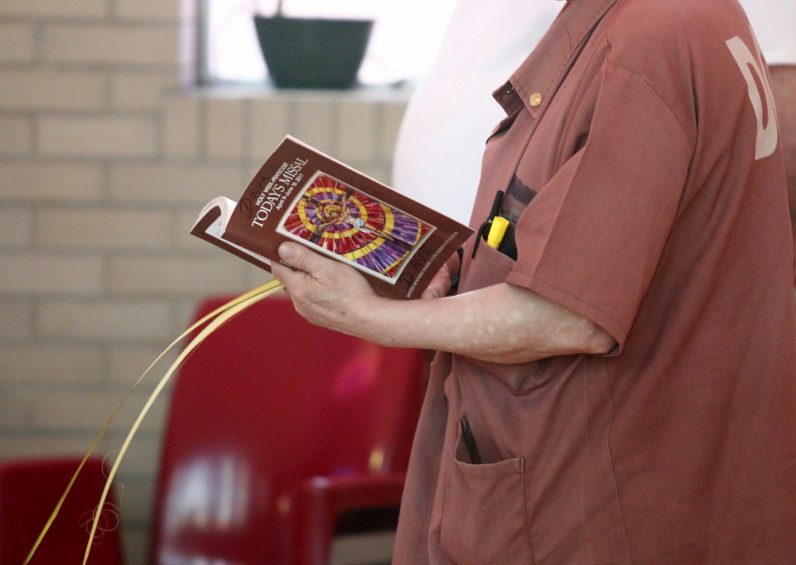 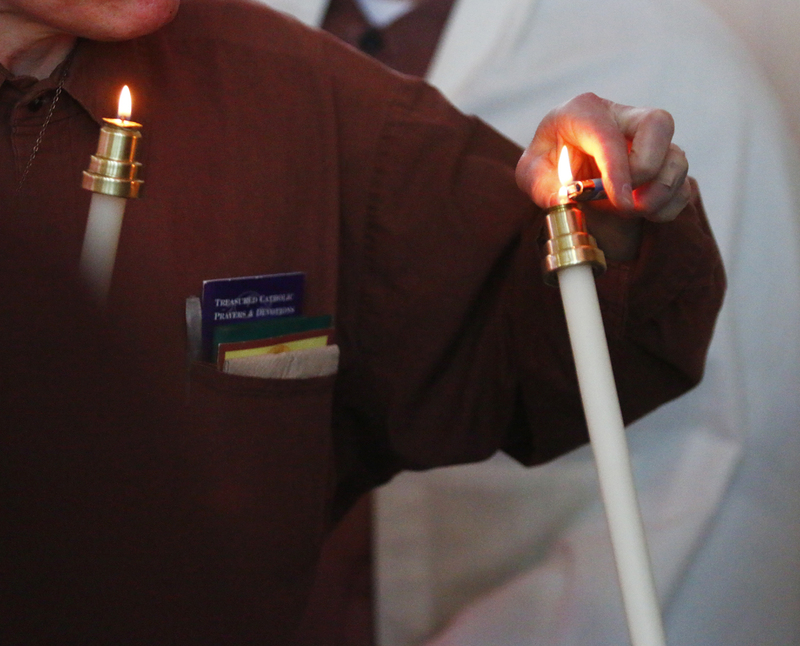 An inmate usher hands out palm fronds at the Palm Sunday vigil Mass Saturday evening, April 8 at SCI Graterford. 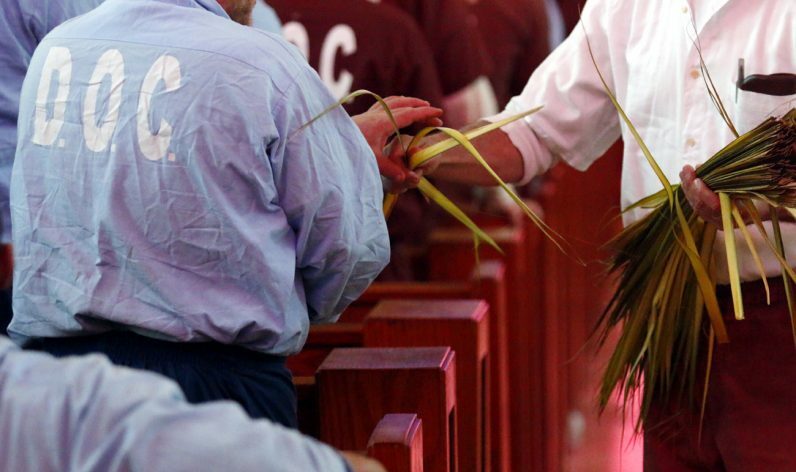 A knee is taken during the reading of the Gospel for Palm Sunday. 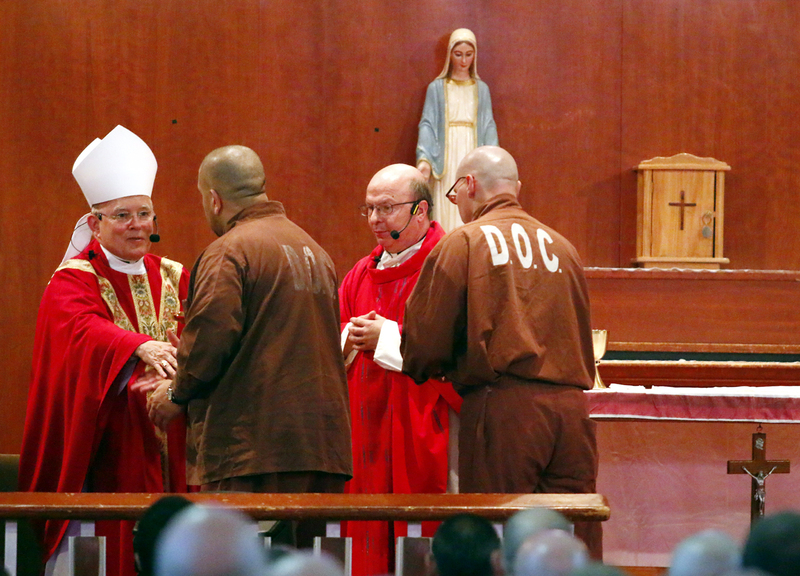 Two inmates present the offertory gifts to Archbishop Charles Chaput during Mass at SCI Graterford. 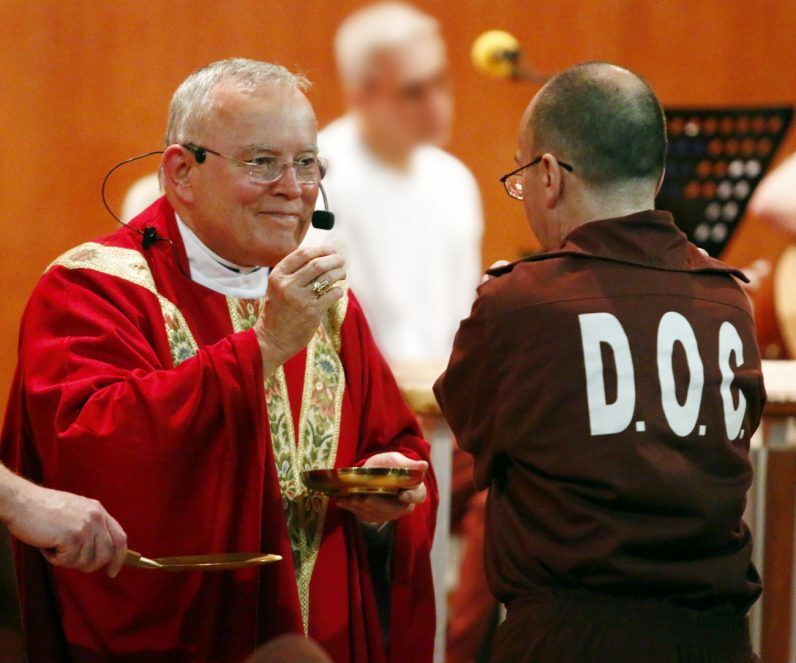 SCI Graterford superintendent Cynthia Link offers a sign of peace to an inmate during Mass celebrated by Archbishop Charles Chaput on April 8. 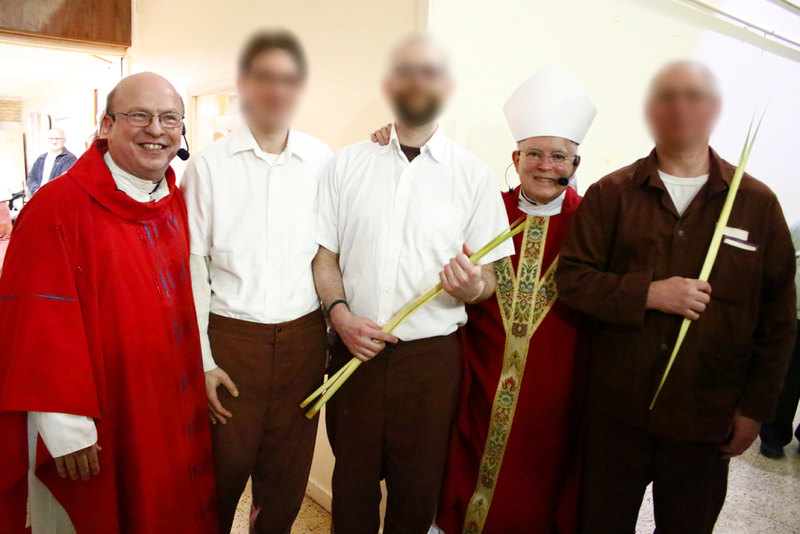 Father John Pidgeon, chaplain at SCI Graterford, and Archbishop Charles Chaput pose for a picture with three gentlemen who will be baptized and received into the Catholic Church at the Easter Vigil Mass in the prison. 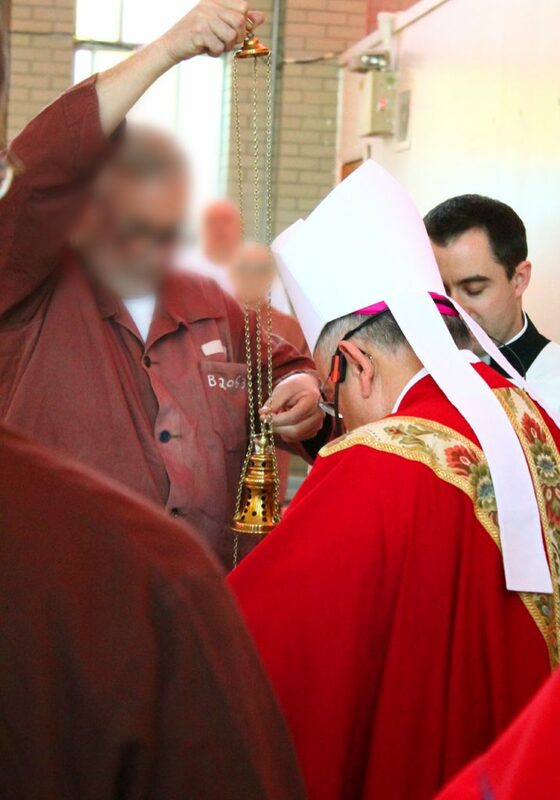 Archbishop Charles Chaput blesses palm during his visit to SCI Graterford on April 8. 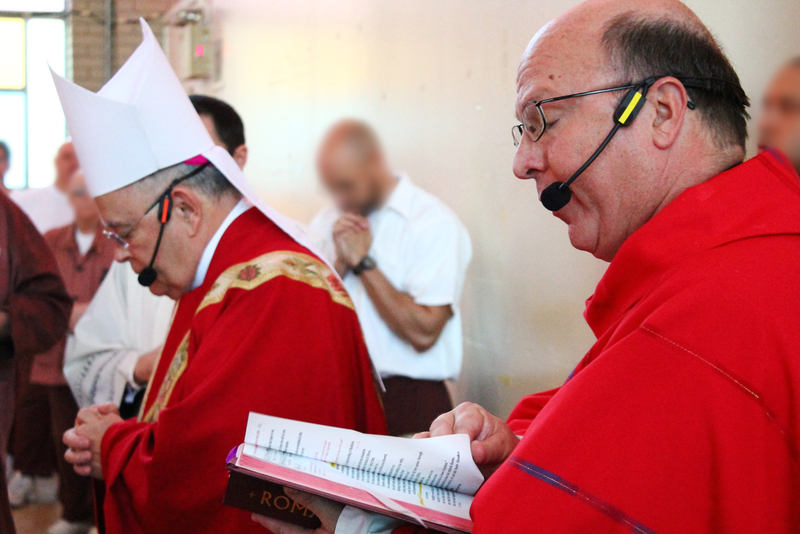 Father John Pidgeon reads the reading for Palm Sunday Mass at the back of the chapel at SCI Graterford when Archbishop Charles Chaput visited to celebrate Mass, April 8. 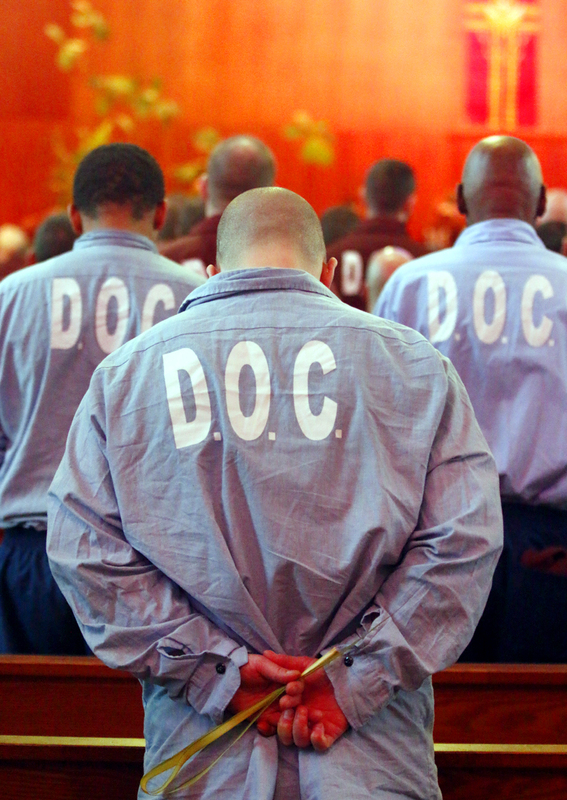 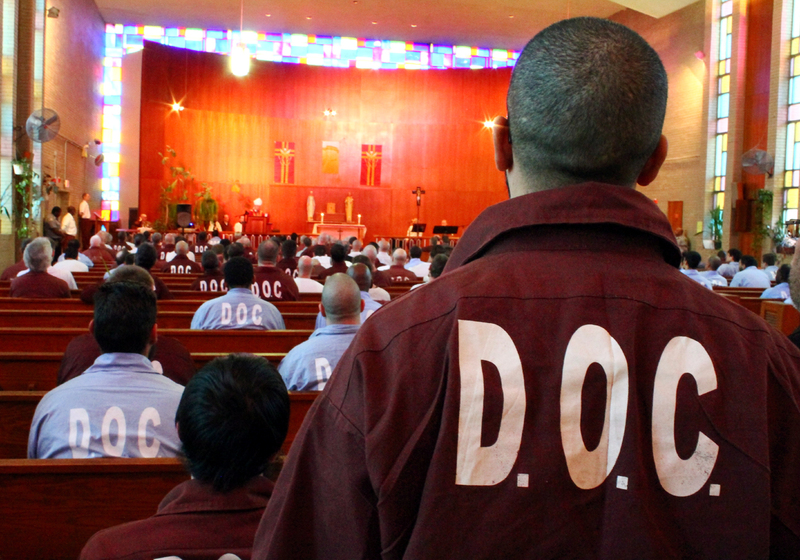 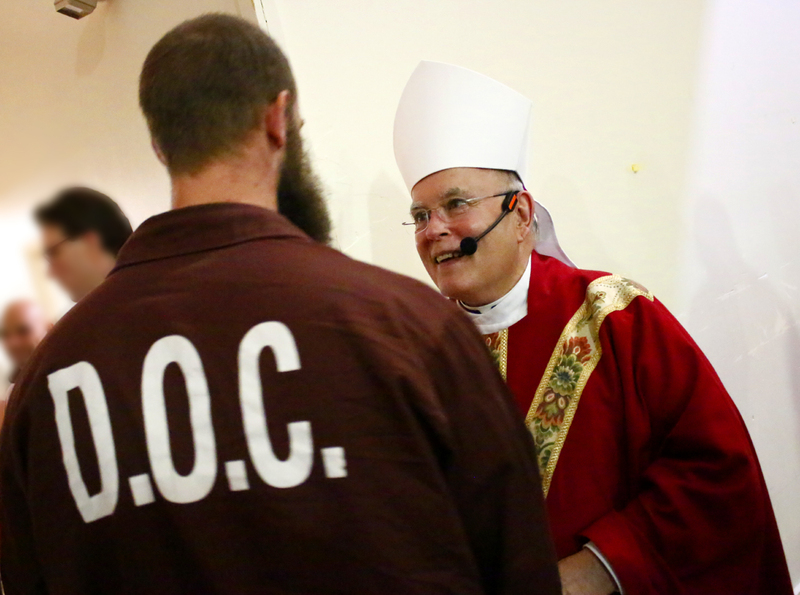 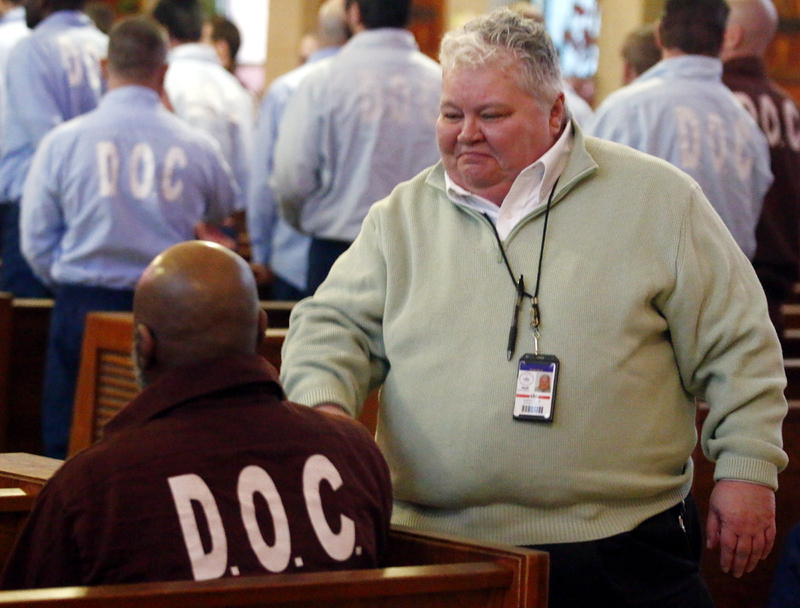 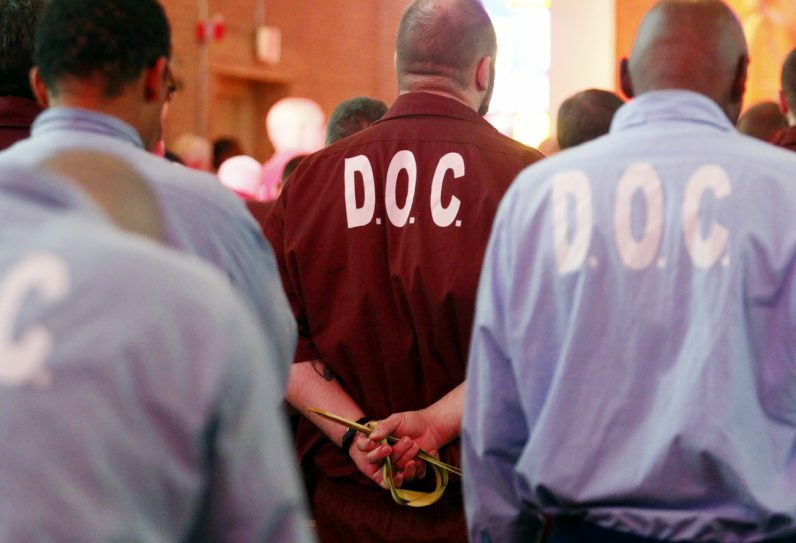 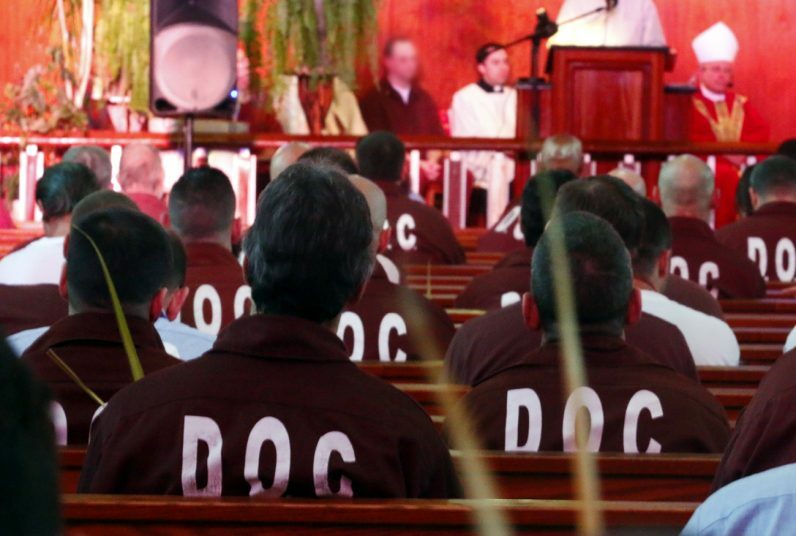 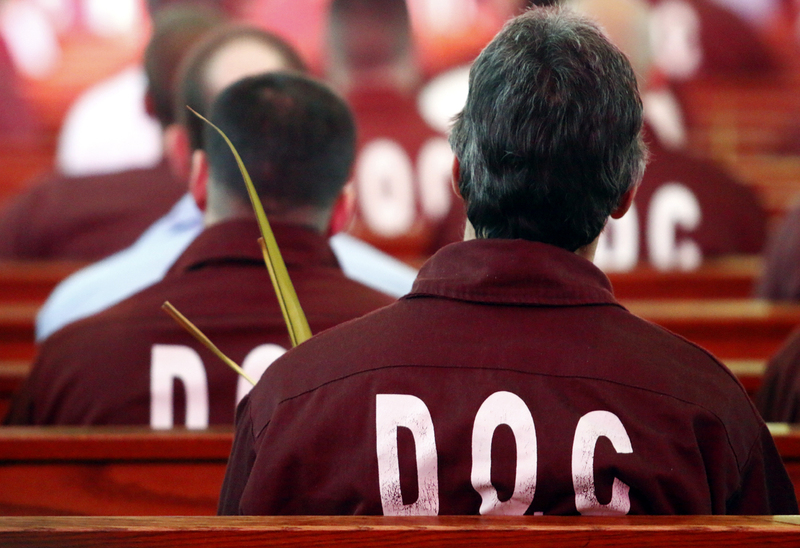 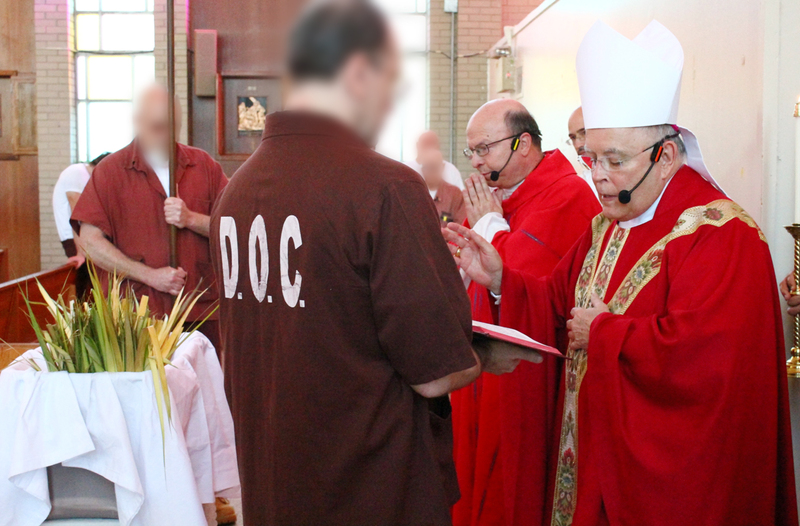 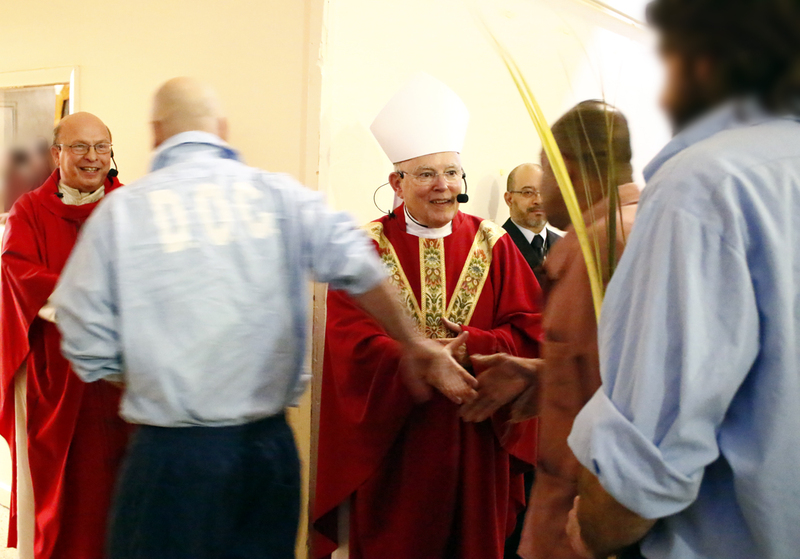 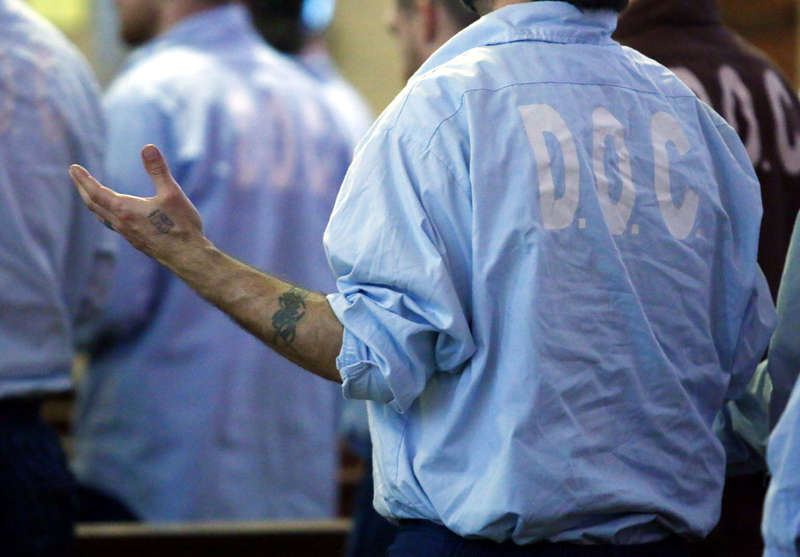 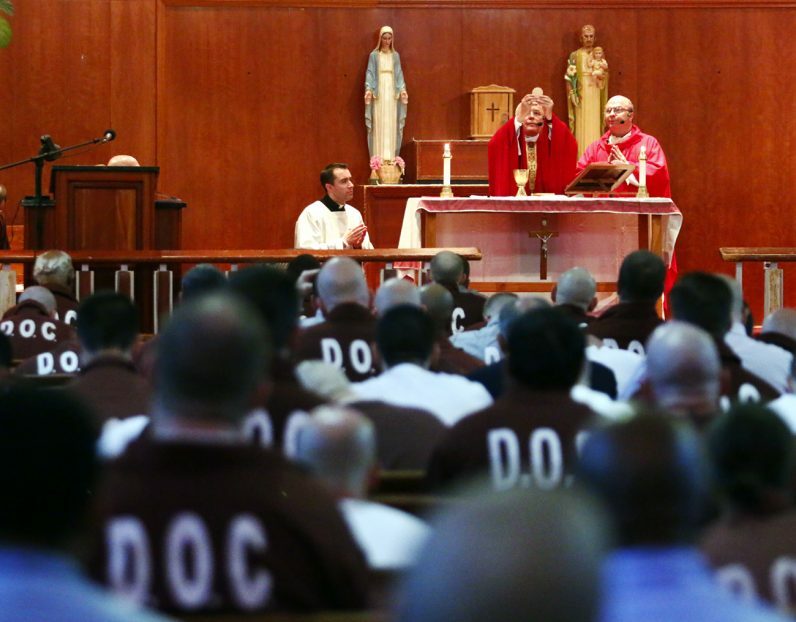 Inmates serve Mass at SCI Graterford at which Archbishop Charles Chaput was the celebrant on Saturday, April 8. 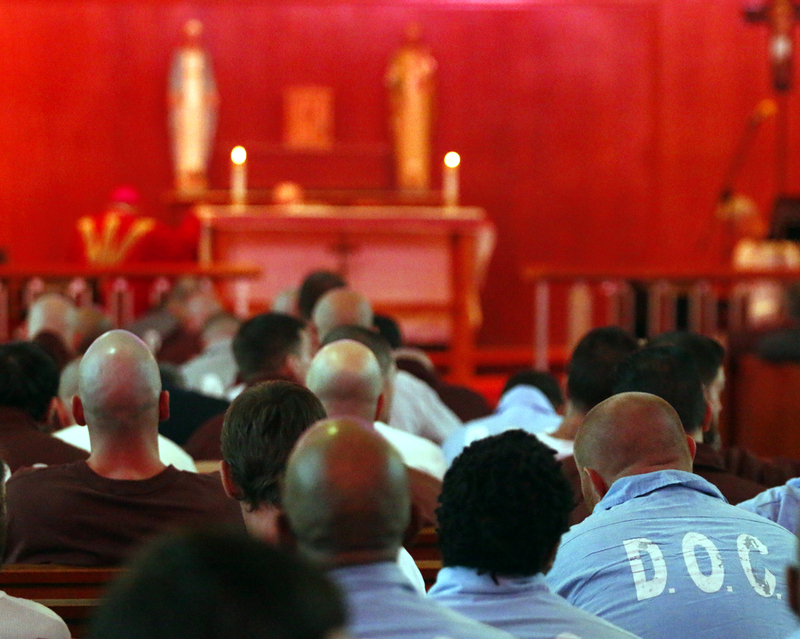 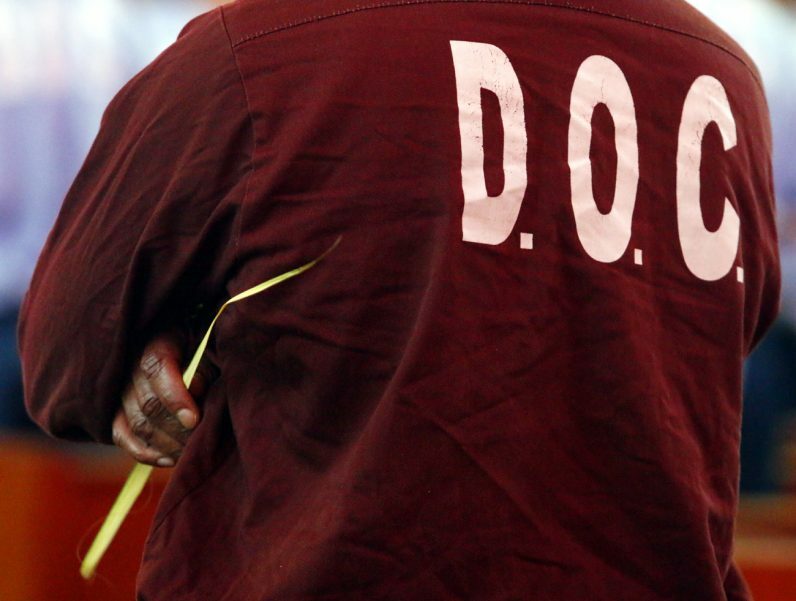 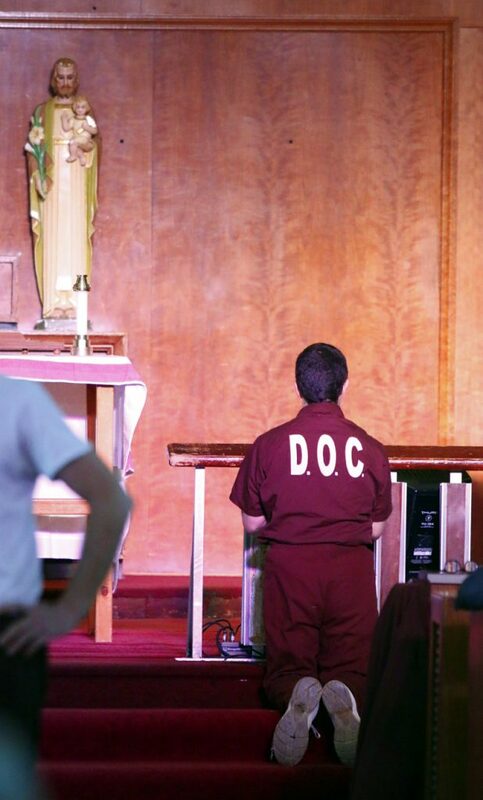 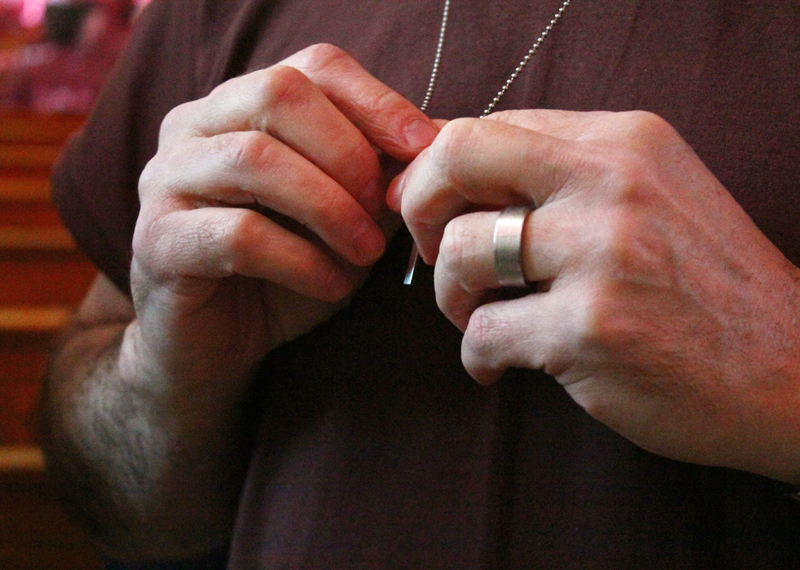 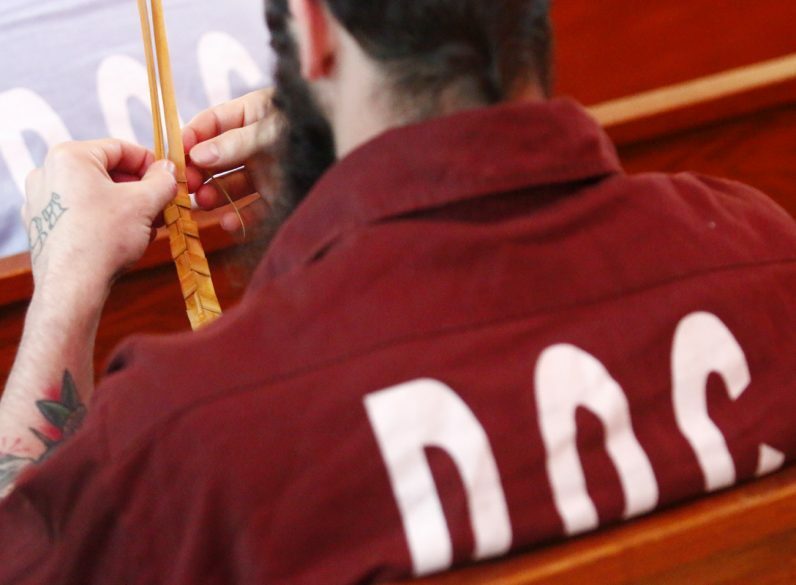 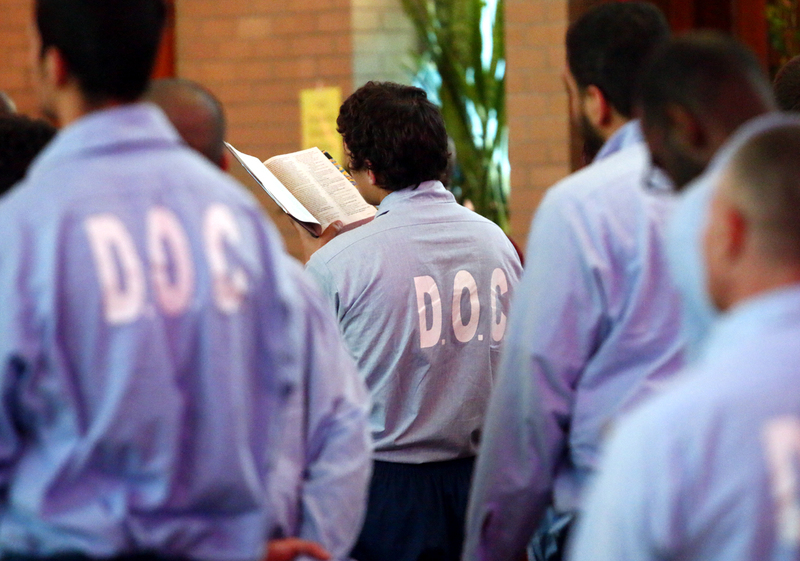 An inmate prays before Mass at SCI Graterford. Inmates at SCI Graterford prepare the altar before Mass.